Over the past week, we've gotten pretty far on baby's room. 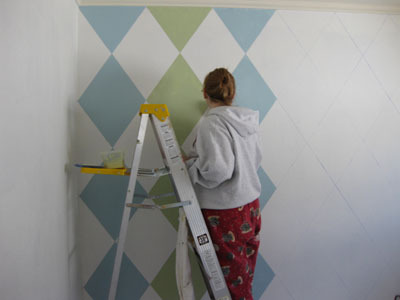 We had a lot of fun painting (at least I did), and putting furniture together. I'm so happy my idea worked! We're still waiting on our other dresser and blinds to be shipped, and the room will be close to complete! A little less then 14 weeks to go before we meet our little man! It's hard to believe how time flies. I've been feeling pretty good lately, although the insomnia is creeping back. Other then that I really don't have any complaints! 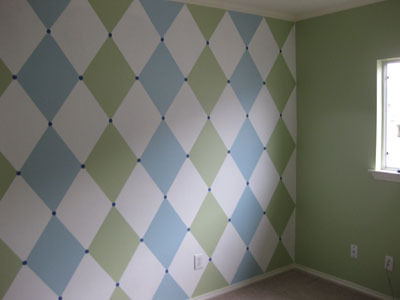 Here are some pictures of baby's room. Oh my gosh it looks so awesome!!! 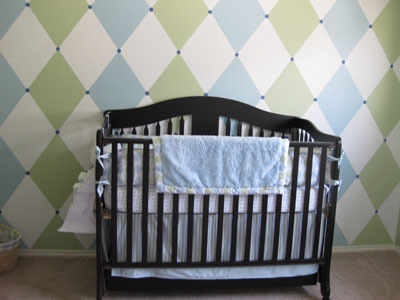 Especially with the crib (and of course the amazing paint job!!) And thanks for letting us see you in a pregnant picture!!! 14 weeks that's crazy!!!! We can't wait to see you guys in a few weeks!! Where were these HIDDEN talents all these years??? Its GORGEOUS! What an AWESOME job. Can't wait to see all THREE of you ! I love it!! It's beautiful!! And so are you!!!!! Can't wait to see you guys in April!!!! 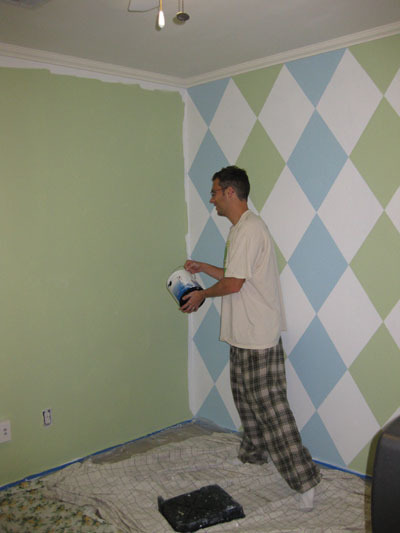 Great job on the baby's room. 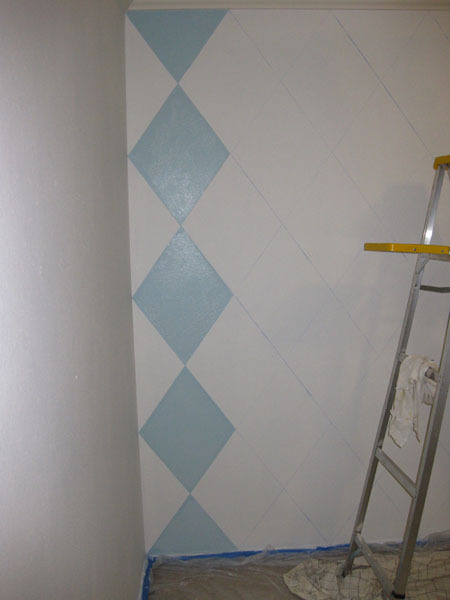 Ihave a bathroom which needs painting. Amazing paint job! Do you hire out? We're all excited about seeing you soon. Mollie and Jason the room looks awesome !!! Although, maybe you should have used O'Hara black and gold for Coach/Grandpa Dan (-;. Jason great job on your marathon. What was harder, painting the room or the run? Good luck to all 3 of you. You are in our thoughts way up here in Clifton Park. This page contains a single entry by Mollie Jones published on March 9, 2009 9:02 PM. Jason's 1st Marathon/Baby Furniture was the previous entry in this blog. 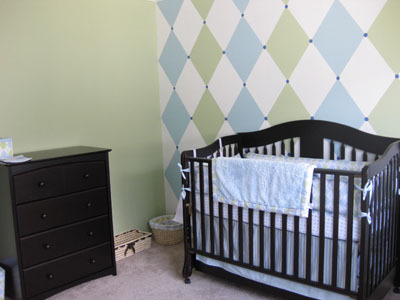 More of Baby's room is the next entry in this blog.